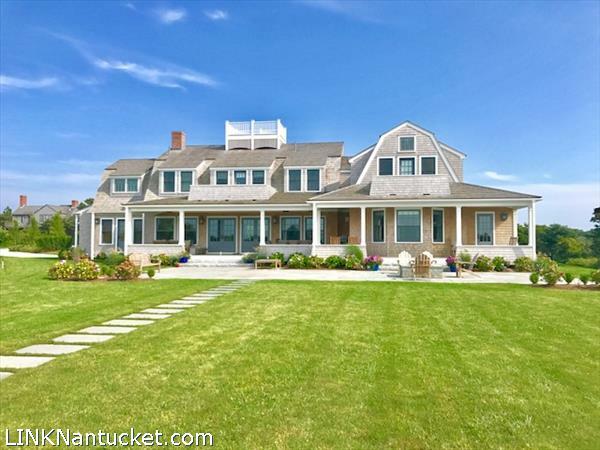 Incredible opportunity to own your very own Monomoy Dream home. House is brilliantly sited on a natural peninsula to take advantage of views of both the Nantucket harbor, town and Monomoy creeks, stunning Brant Point sunsets, and easy direct beach access. Brand new construction with sophisticated and classic architecture lines, and no execution detail excluded. This home boasts a spacious and deluxe chef\’s kitchen, flowing floor plan, media room, central elevator, 6 bedrooms all en suite, and picture perfect balconies for sailboat viewing. Exterior features include wrap around porches, a lovely pool with integrated hot tub, stone gas fire pit, large blue stone patios, and have we mentioned the water views?